Chief Minister Arvind Kejriwal has announced an ex gratia of Rs 5 lakh each for the kin of the deceased. At least 17 people including a child lost their lives in a massive fire that broke out in a Karol Bagh hotel in central Delhi in the early hours of Tuesday. Officials said three persons sustained injuries in the incident. Those injured were taken to the Ram Manohar Lohia Hospital. Most of the deaths took place due to suffocation, the police said. According to reports, the fire broke out at Hotel Arpit Palace on the Gurudwara Road in Karol Bagh around 4 am. Most people staying in the Karol Bagh hotel were sleeping when the fire broke out. Eyewitnesses said several people jumped out of the upper floors to save their lives. 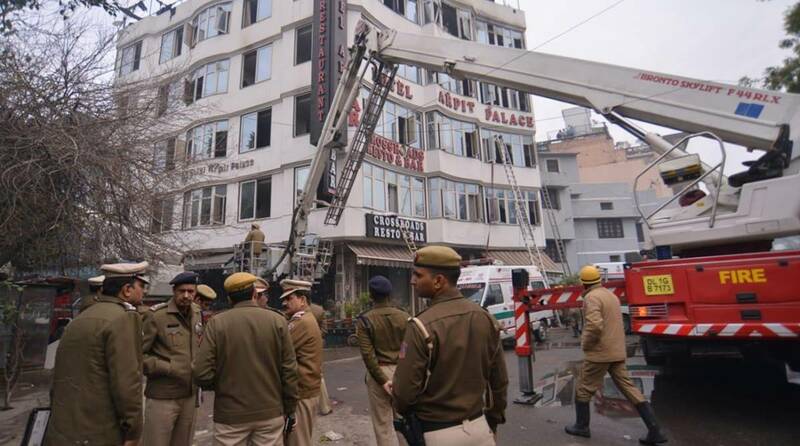 A call was received at 4.30 am from Karol Bagh’s Arpit Palace Hotel and immediately 25 fire tenders were rushed to the spot, IANS quoted an officer of the Delhi fire department as saying. Delhi Hotel Association Vice President Balan Mani told news agency ANI that all safety norms were followed in the hotel adding that the accident occurred due to fire in ducting because of which it had spread to the hotel rooms. He further said that a license is issued to a hotel only after inspection. The blaze was brought under control around 7 am. At the time of writing, the fire had been extinguished, and a cooling operation launched. The exact cause of the fire is not known yet. “Deeply saddened by the loss of lives due to a fire at Karol Bagh in Delhi. I convey my condolences to the families of those who lost their lives. May the injured recover soon,” the Prime Minister said in a tweet. Delhi Chief Minister Arvind Kejriwal has announced an ex gratia of Rs 5 lakh each for the kin of the deceased. 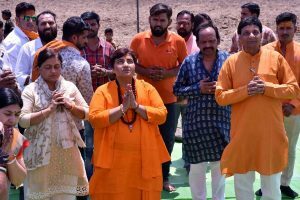 In the wake of the deadly incident, Delhi Deputy Chief Minister Manish Sisodia has ordered the cancellation of today evening’s celebrations in connection with the completion of four years of the Aam Aadmi government.